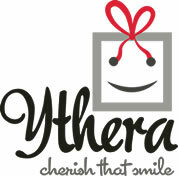 Online Chocolate shop : Ythera is the go-to online supplier of Artisan and Personalized Chocolate for most start-ups and corporate brands in Nairobi. Our Chocolatier uses cocoa mass from West Africa ensuring every morsel produced tastes absolutely unforgettable. We’re also Nairobi’s premier florist and bespoke gifts delivery service that goes all out to meet our clients expectations. We offer dozens of unique products in every price range, and all of our appetizing artisan chocolates can be customized with your branding and logo. Browse our complete selection to find your perfect chocolate theme, or schedule a visit by our marketing manager to take you through the bespoke chocolate options that would be ideal for your brand.